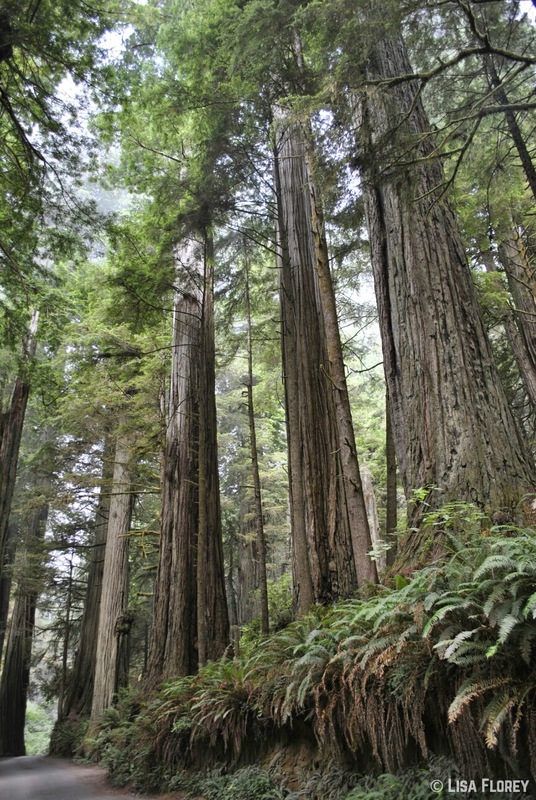 The first thing you need to know about Redwood National Park is that it's not really just one park, per se. It covers 133,000 acres and includes several California State Parks. 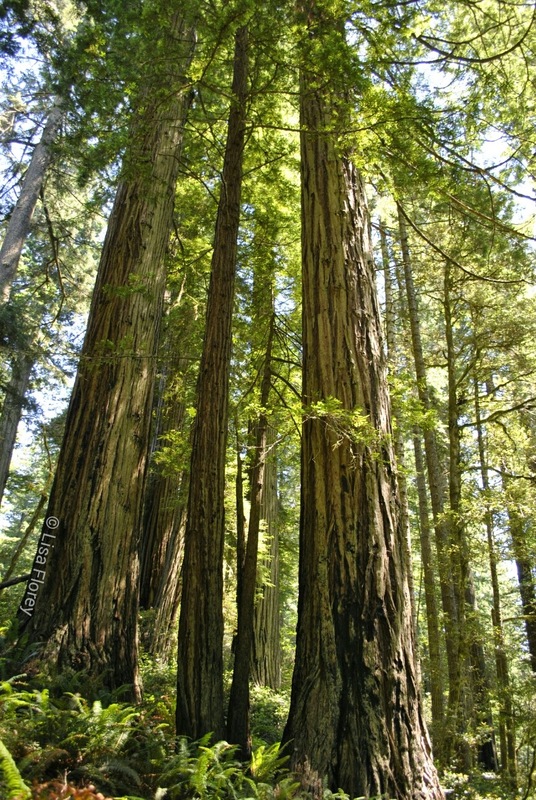 What's even more amazing is that the redwoods used to take up more than 2 million acres of the California coast. 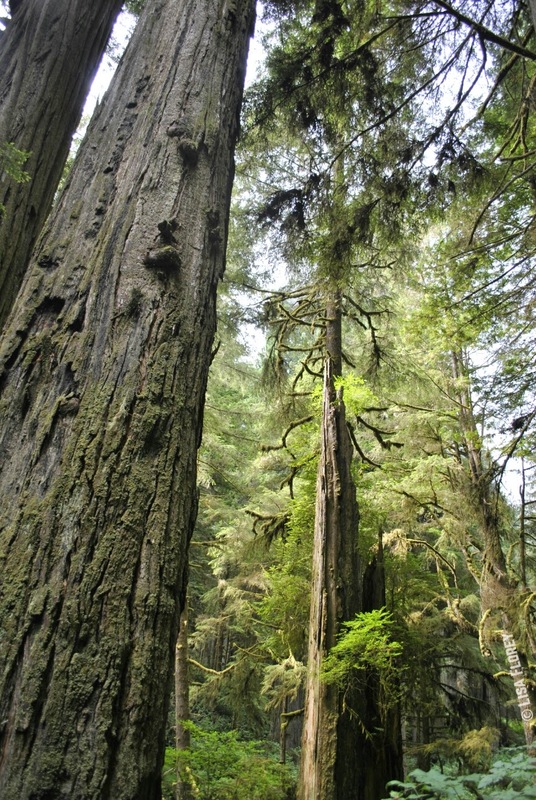 Today, less than 5 percent of those trees remain. What's left will take your breath away. 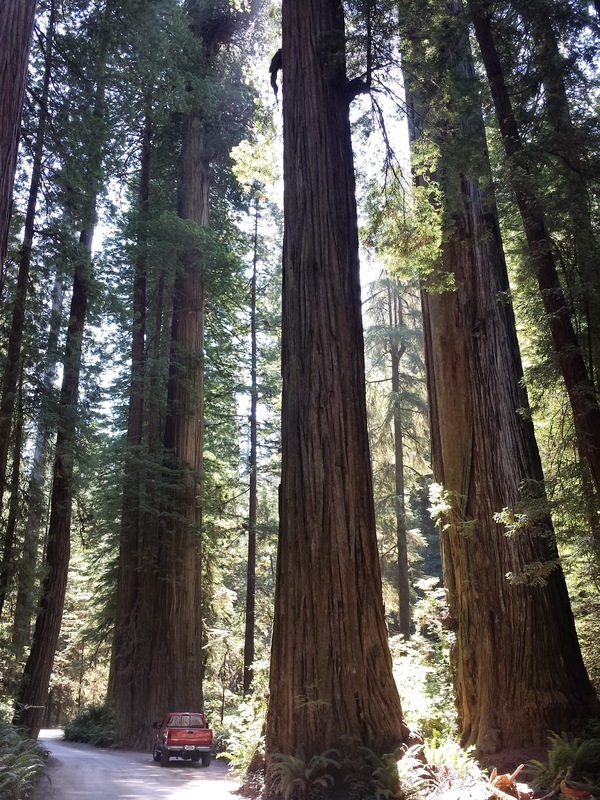 To get to the first part of the redwoods that we decided to explore, we traveled on the ranger-recommended Howland Hill Road and into the Jedediah Smith Redwoods State Park east of Crescent City. 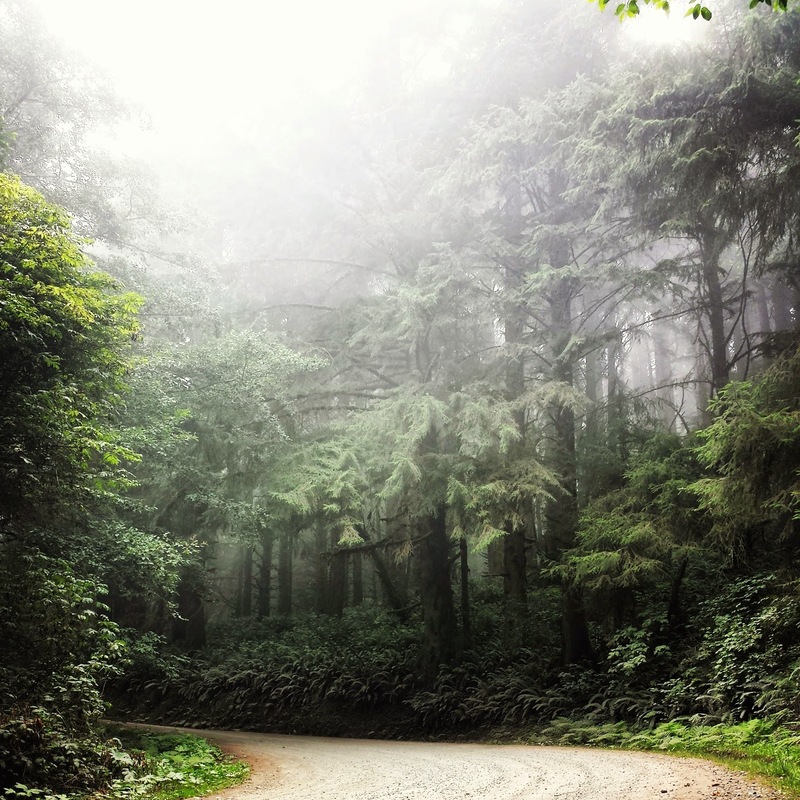 It's an unpaved, narrow road that leads into the forest, and it was foggy as we entered -- which only added to the enchantment. The combination of fog + sunlight was magical. I was in awe. Photos cannot capture the size and magnificence of these giants. 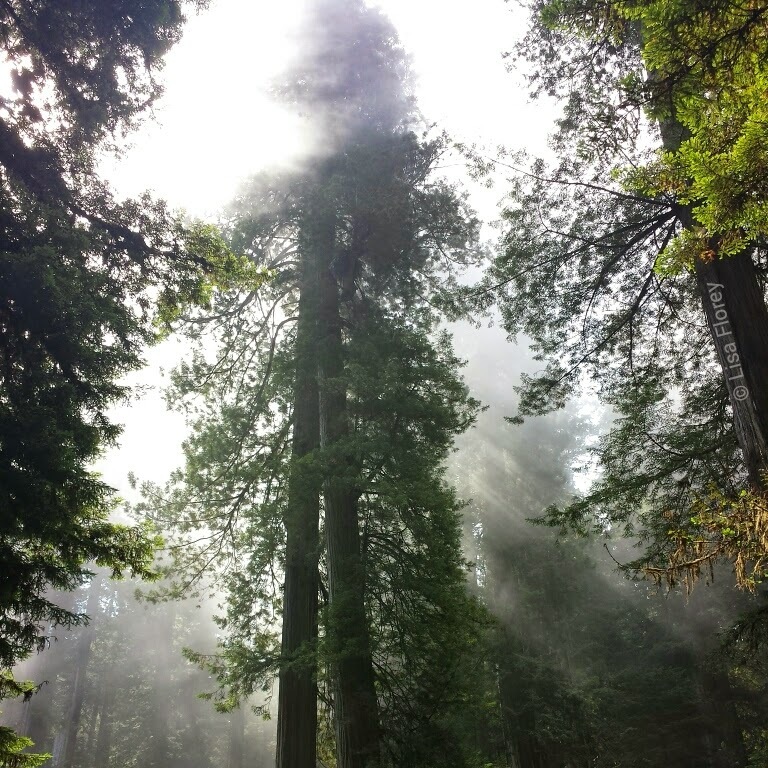 After a lot of stops and exclaiming over the beauty and size of the redwoods -- each stop seemed better than the last, as the fog lifted and the sunlight filtered through. 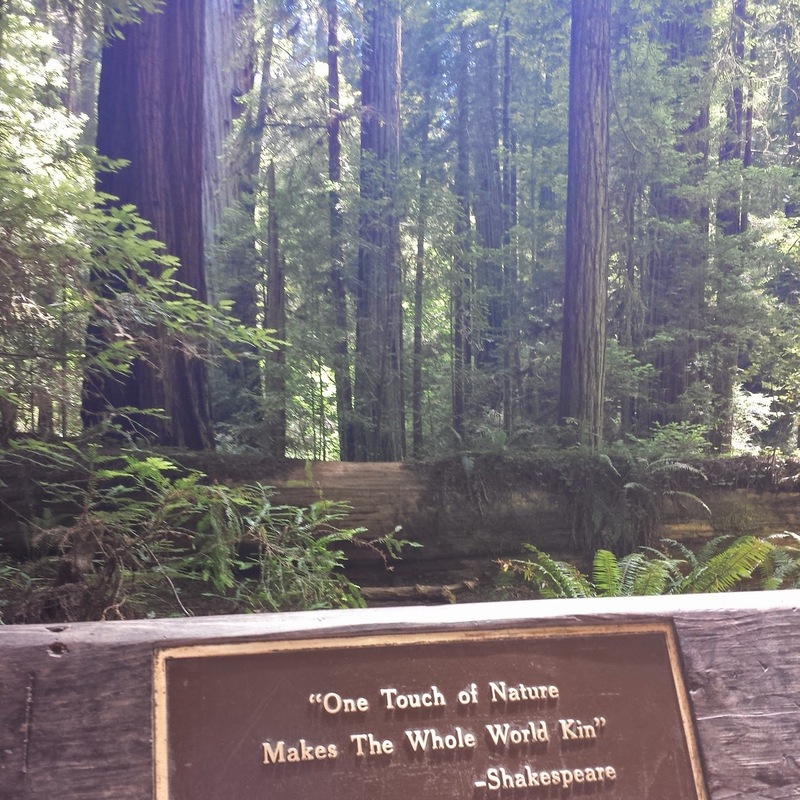 We worked our way over to Stout Grove, a 1/2 mile trailhead, and spent more than an hour exploring the grove. I had a new Eye-Fi SD card in my Nikon and I drained the battery on my camera very quickly. So disappointed! I took quite a few pictures with my phone once my Nikon died, and just enjoyed walking around the grove, soaking in the view instead of taking photos. Lesson learned: have your camera battery fully charged and turn the camera off when you're not using it. 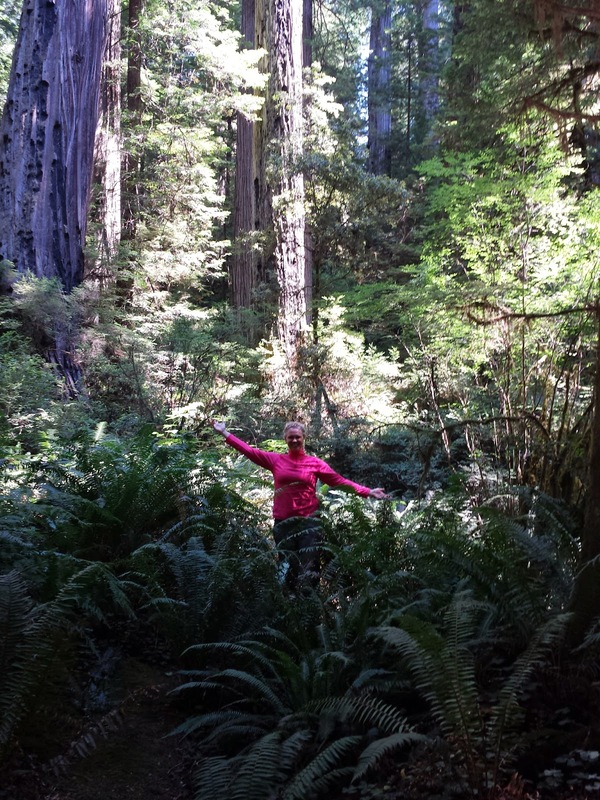 Nothing makes you feel so small as being in the redwood forest! 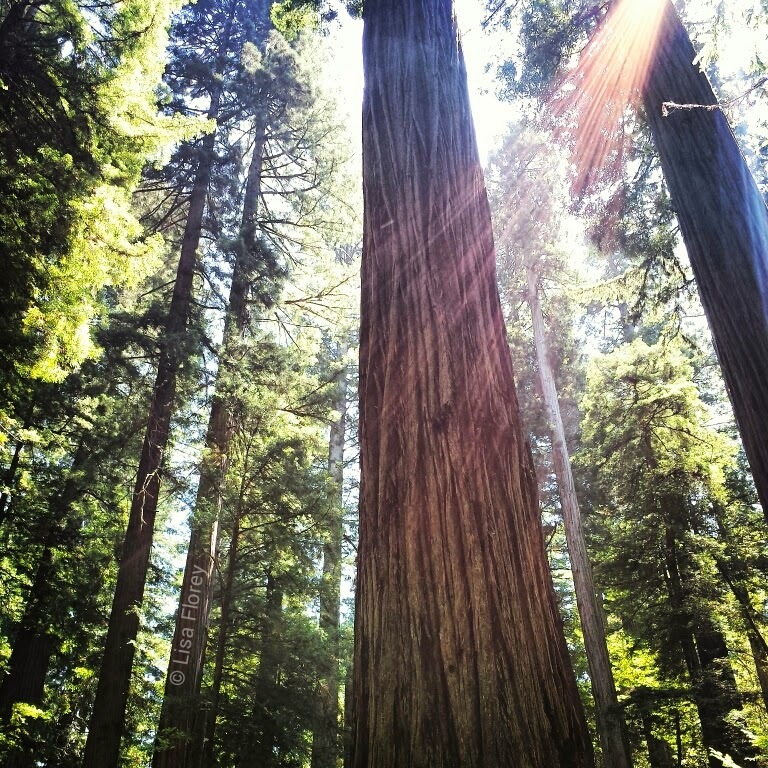 Inside Stout Grove. Notice the ferns, for size comparison. That's a full-size F-350 pickup parked next to the trees, folks!